For Oreo crust, put entire package of oreos in the food processor. Blend till they are a sand like texture. Add melted butter, then mix till blended. Divide cookie mixture in half. Spread into bottom and up sides of 2, 9 inch pie pans. Refrigerate for 1 hour before filling. this will help prevent crumbling when you want to serve them. After your crust has been refrigerated, mix chocolate pudding per directions on the box for the pie filling. Usually this just means you use less milk than you would when making the standard pudding. Pour prepared chocolate pudding in pie pans over crust. Then prepare vanilla pudding per directions for pie filling as well. Add mint extract (seriously you only need a few drops, then add 3-4 drops of green food coloring. Mix well, then pour over chocolate pudding into pie crusts. Top with whipped cream, and crushed thin mints (or oreos) as desired. I was looking for something to make for my family for St. Patrick's Day. I didn't want the usual sugar cookies with green frosting that I typically make. I love pie. There I said it. Its just such an easy dessert, plus we can usually polish off a pie in one sitting so there aren't any leftovers (I'm not a giant fan of leftovers). 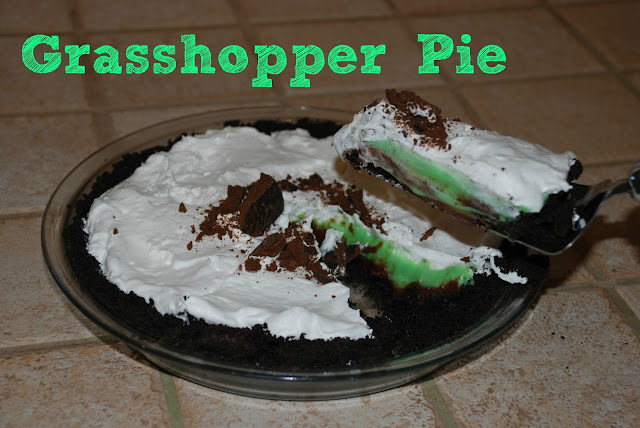 But in my searches I kept coming across recipes for Grasshopper pie that called for ingredient, like Creme De Menthe, which is not something I ever have had in my kitchen. So I decided that I would make up my own version that was more kid friendly and tada!!! 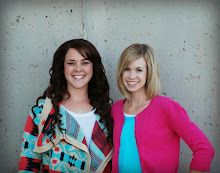 It turned out amazing. My kids loved it. We will definitely be making this again.